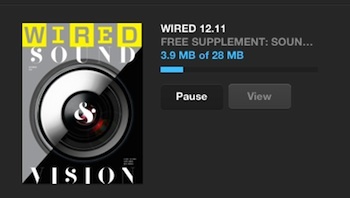 The UK and USA Wired magazines come to the iPad through two different free apps. 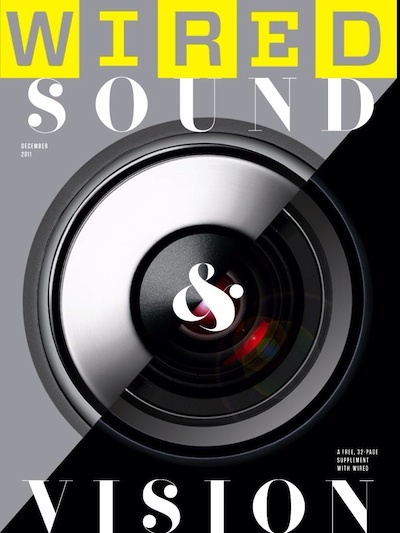 This month, the UK version is getting (available now) a free Supplement called Sound and Vision. 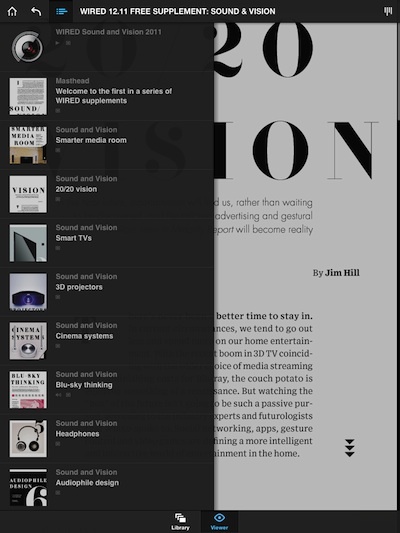 Just launch the app on your iPad and you will see the option to download for free. 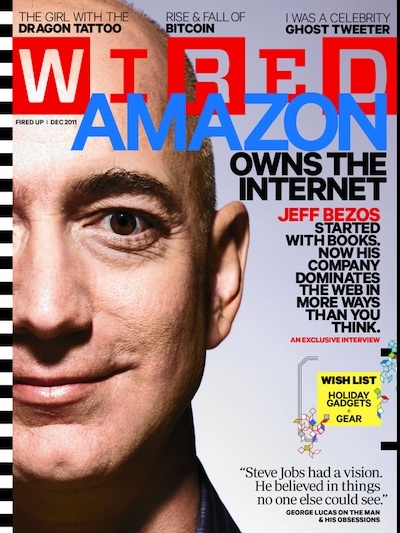 The UK Wired Supplement is actually a full featured magazine with full content articles and multimedia. This isn’t a teaser marketing mag with light versions of articles and pictures.